Elon Musk, ever busy, has put $15 million of his own money into the Global Learning XPRIZE, a sort of ed-tech competitive solution. Elon Musk has put up his own money for the noble cause of education. The target? Millions of children without access to basic schooling. Here’s an open question for Elon Musk: Is there anything about the future that you wouldn’t like to improve? Seriously, the man is into everything that hasn’t even been invented yet. Making these noble dreams a reality is really bolstering his corporate profile and presumably, his resources. This means he’s looking for a big investment for all that capital. 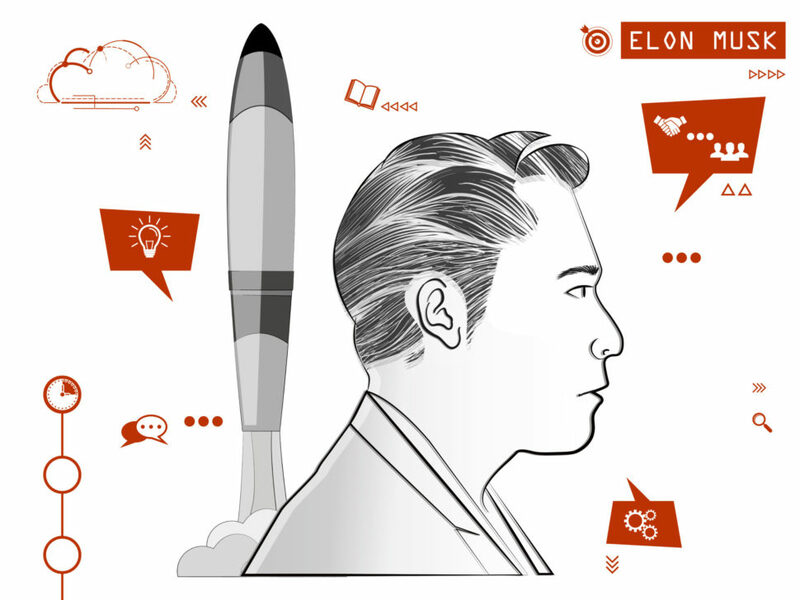 He’s got his fingers in space travel, self-driving cars, and lately, educational technology. Or ed-tech (ed-tech sounds much better). Recently, the Tesla CEO has put his bid in for improving the world through education. Musk has put up $15 million of his own money to the Global Learning XPRIZE contest. So far, the results look very promising. If a bunch of little geniuses start sprouting up all over the world of the future, we may have XPRIZE and Elon Musk to thank for it. Or, at the very least, the initiative could soon be credited with doing its part to make moonshot opportunities accessible to more of the smart, ambitious kids that are already out there. Let’s not get ahead of ourselves. First, let’s look at the contest itself. In true XPRIZE fashion, the Global Learning goal is intended to make the world a better place through fostering technological innovation in education. Currently, it is estimated that there are 250 million children that don’t have access to primary or secondary education. The goal is to give those children the means to teach themselves to read, write, and do math– all within 15 months. That means calling upon innovators to develop a comprehensive ed-tech platform or approach to reach the largest number of children. It’s a noble goal, and with all the money that XPRIZE has put up for the contest, it’s pretty lucrative, too. For example, the contestants have each been awarded a milestone $1m just for making it to the finals. That’s a lot of money, but it’s all for a good cause. In that light, the cost is worth it. That kind of thing can make a person’s heart swell, especially if they have benefitted from an education themselves. Emotions aside, the world population stands to benefit from more widespread education and industry stands to benefit from more competitive and competent candidates. The more qualified minds working to solve a problem, the faster we can expect a (commercially) viable solution. Not to mention, the faster we all benefit. In the age of “Fake News” and duplicitous information, we can all stand to brush up on our critical thinking skills. As much as we would like for our information to be strained and verified before it ends up in our feeds, it is paramount that we are able to do this for ourselves. Critical thinking, problem-solving and simple logic are requisite as we move further into the Digital Age and the sea of information washing over our screens every day. A basic education is the first step to training the minds of the future to think through things for themselves, and a basic initiative is putting those minds at the starting line. Without further ado, let’s get into the meat of the matter and take a look at what the finalists have come up with for the competition. CCI: This New York-based company is making a series of structured instructional programs, which isn’t out of the ordinary when looking at ed-tech. Where they really distinguish themselves is in offering a complete platform instead of pre-packaged media content. Their platform promises tools that will allow non-coders to make lessons in any language or subject area. Kitkit School: Hailing from Berkeley, this team is also going for a game-based core program, but is intended to teach any student to learn, regardless of their education level or environment. onebillion: This company is a joint-initiative out of the UK, Malawi, and Tanzania. Their approach fuses numeracy content with reading material to direct learning while simultaneously monitoring it to respond to a child’s needs. RoboTutor: Last, but most certainly not least, this Pittsburgh-based company is leveraging machine learning, cognitive psychology, and human-computer interaction to provide what is presumably an AI tutor for math and reading. Finally! I was wondering when someone would start using AI in education. If you’ve read my articles before, you may have noticed me mention my teaching experience. And, after reading about this contest and the contestants, I feel qualified, nay, obligated to give you my completely unsolicited opinion on it. Put simply: I want to know more. Let me break it down: When I hear that the contest is designed to give kids without access to educational materials the means to teach themselves, my ears perk up. You see, there are two major drawbacks to that approach that I can think of off the top of my head. One is the language barrier, which is something that at least a couple of the entries have already considered. Another drawback is motivation, which can be everything when teaching children. In my experience, stupidity is very rare. What is more common is an unwillingness to learn. Now, while I’d like to assume that the children most affected by this contest would be very willing to get an education, I think it’s practical to expect some of them to get bored. To me, that makes Chimple and Kitkit School’s idea very interesting. Bottom line is: I want to see more of this. I want to see how it works, how entertaining and engaging it is. That’s the key for the little developing geniuses of the world. Luckily, the contest is about to enter the field testing phase, and you better believe that I’m keeping my eye on this one for some potential video, or at least a description of how it goes. As always, we’ll keep you posted on this one. And, speaking of things we always talk about, we want to hear from you. Which finalist sounds the most interesting? Let us know in the comments below.